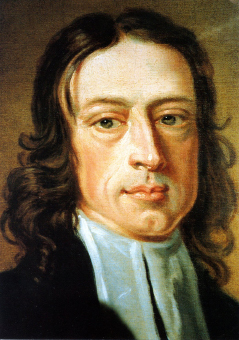 John Wesley was the fifteenth child in his large English family. Their family was heavily influenced by the faith of the past and the present. John's grandfather has been a Puritan minister and his own father was rector in Epworth when John was born. It was important to the Wesley family to be involved in the life of the Church and it was in the stories and words of the Body of Christ that they found meaning and direction. The profound impact of John's early years in the Church cannot be fully understood or charted. In many ways, it would have been unsurprising years later to find John Wesley among the cultured and refined members whose faith has become little more than adherence to habits of attendance and patterns of speech. Yet, there was a particular moment when he was five years old that seems to have started him along a path away from bored and inherited faith and toward a life of discipline and spiritual formation. The rectory where they lived caught fire while John was in the home. As the walls were consumed in flame and smoke began to choke the life from his young body, he was saved from the fire by some family member who picked him up and carried him out of fiery death. He would remark years later that he felt he had been like a brand plucked from the fire for some special purpose and that he was continually provoked to question why it was he had not been burned to death on that night. As he grew older his faith was challenged and tested as all faith is and he began to drift away from the faith of family and into the reluctant agnosticism of cynical adolescence.He was bullied and abused by many of his peers and this left a painful mark on him for the rest of his life--even causing him to tremble as a grown man when he about the adolescent savagery of which he had been the victim. As pain and depression further marked his life's attentions he stopped practicing the faith he had been taught and given and instead hoped--like so many did and still often do--that it would be enough only to think his faith. After all this was when he first encountered the Moravians who met in Aldersgate Street in London. He had shown up at their meeting because he had been impressed at the peace of mind of a handful of Moravians on a previous sea voyage when a storm had buffeted and rocked the ship he was on. Perhaps seeking a renewal of his faith or perhaps simply homesick for a simpler time he attended one of their services on Aldersgate and something incredible happened. Looking back, he would write that he felt his heart strangely warmed as he listened to the scripture being read. It was here that he would be renewed in his faith and learn to claim it as his own. For years he worked with Moravians and helped craft a way of doing Church that emphasized regular small group participation, living out the faith while learning about it, and mutual accountability and vulnerability within the walls of the Church. Abandoning the tendency of the Church to become an institution instead of a movement, John insisted that the spiritual life was something that deserved and required special attention. Instead of simply hoping that right doctrine and thought would be enough John called for all Christians to join right practice with right thought. From that moment with the Moravians he personally worked to effect salvation and redemption in his own life and in the lives of those close to him. And there were many who were close to John Wesley since he spent so much time riding his horse and preaching to any who would listen whether in the pulpit of a church or in a field for all interested ears. John felt strongly that God has plucked him from the fire so that he might bring about revival in the Church which he was so certain was in desperate need of new life. He went out into the world and, in his own words, he "set himself on fire and the world has come to watch me burn." The brand that had been plucked from the fire became a great preacher of the gospel bringing hundreds of thousands of people to a faith that changed their lives and redeemed their souls. As John lay dying on March 2, 1791, he called for his friends and family and they were all too willing to come be near to him as he passed on from this life into another that he had preached and anticipated for many years. The people that drew near to him on his deathbed had had their lives changed by this man and it must have been hard to watch him die even though the too anticipated heavenly redemption for him. He held the hands of those near to him and repeated the word "Farewell" to each of them in turn. Having said his goodbyes, he drew a deep breath and proclaimed like the preacher he was: "The best of all is, God is with us." He repeated this phrase one more time in a weaker voice and passed from this life to the next.